Forward-thinking educators are integrating new technologies into their curricula- improving, or even replacing traditional classrooms in the process. 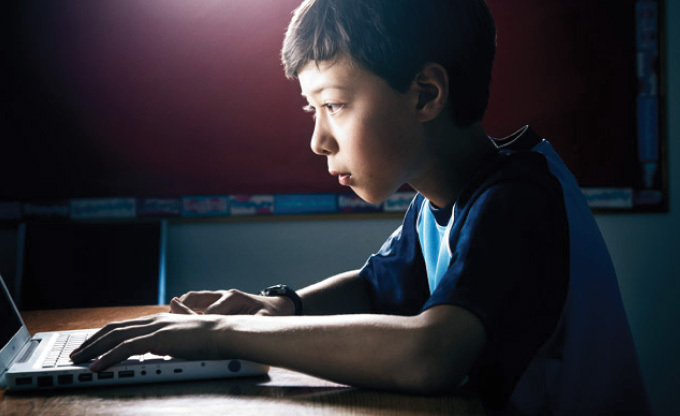 Both in the U.S. and around the world, a host of new technologies, both cloud-based and hands-on, are bridging curriculum gaps and even establishing new educational pathways. They are helping to supplement teachers' lessons in the classroom, creating new educational infrastructure, and engaging students with hands-on experimentation, all with a mission to prepare today's students for tomorrow's reality. M.O.O.C.S: More and more teachers are adding breadth and depth to their instruction with Massive Open Online Courses offered by MITx, the Khan Academy and other web-based providers. Through self-paced videos, online assigments and feedback on homework, students can start at their own level and progress at their own speed. 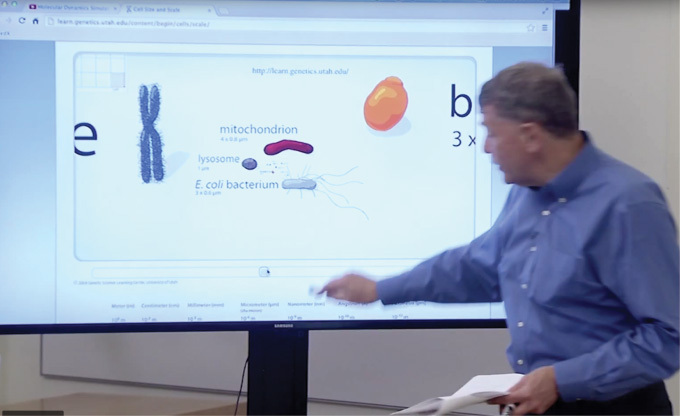 Scene from an MITx course, Introduction to Biology. VIRTUAL SCHOOLS: Virtual school districts like the one in Florida replace traditional classrooms for students who need an alternative learning environment. Students who can’t access a physical classroom can now learn independently while being paired with teachers and virtually connected to classmates. Using simple browers and education platforms like Moodle, teachers and classmates can interact in live-lesson sessions or one-on-one. Athletes, actors, the home schooled, and those with health issues can learn in a structured environment and graduate with a full degree. 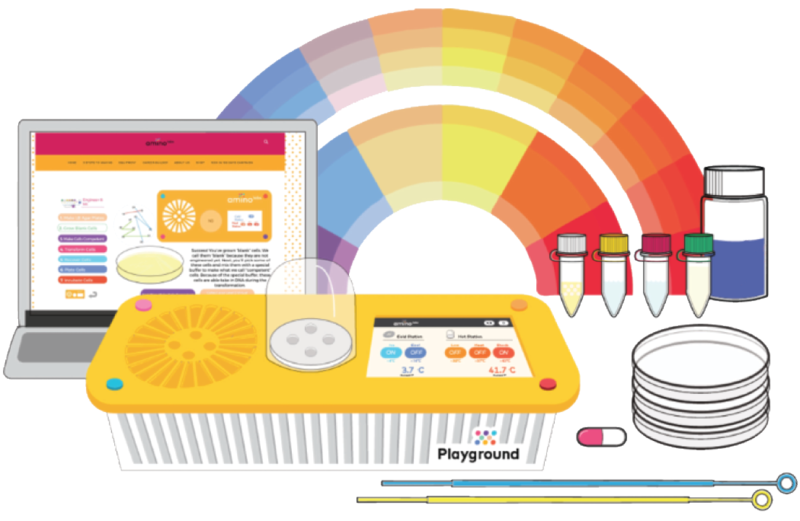 EXPERIMENT KITS: Hands-on learning now reaches far beyond the baking soda volcanos of old. Amino Labs— a start-up company bringing hands-on bioengineering to elementary, middle school, and high school classrooms— is inspiring scientific thinking through hands on experimentation with genetic materials. Hands-on biotechnology experiences let students engage in problem-solving for the real world. 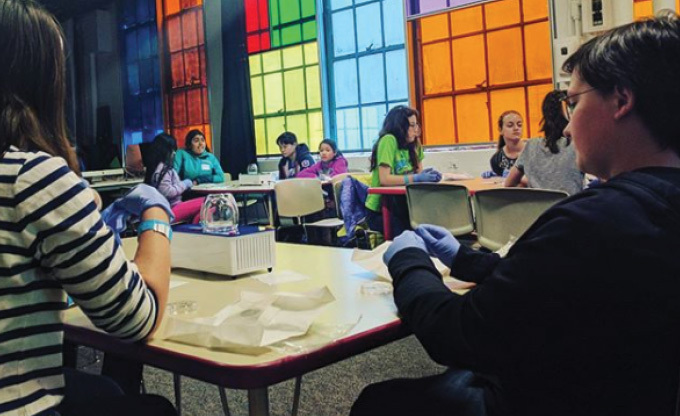 The kits come with everything students need to engineer bacteria, make fragrances, and play around with DNA—all practical exercises that allow them to develop an intimate understanding of these complex topics. of teachers report doing more and a wider variety of hands-on activities in their classrooms, according to a 2011 surfey of RAFT members. of teachers report their students are more engaged in learning and retain knowledge longer as a result of their hands-on experience. CLOUD ACCESS: The VMware Foundation recently partnered with the LEAP Science and Maths School in Diepsloot, a township outside Johannesburg, South Africa. A team of nine VMware employees traveled on this “Good Gig” to inspire teachers and students with the possibilities technology brings to the classroom. Students who once lacked access to modern-day digital tools are now fully exploiting the Internet, interactive apps online courses, and computing technology. VMware donated equipment and training, including laptops and storage devices to create the school's first mobile computing lab. the right level of technology. A 21st CENTURY WORKFORCE: New learning paradigms are critical as the accelerated pace of change disrupts traditional business models and creates new 21st century jobs that demand different skill sets. 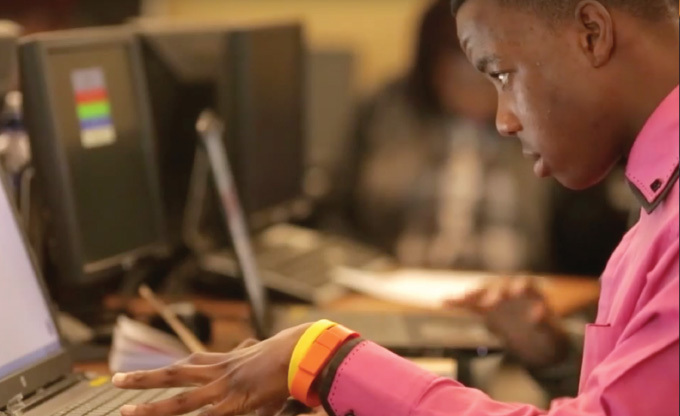 Preparing a 21st century workforce takes 21st century learning techniques and modern-day, cloud-based technology infrastructure. 65% of children entering primary school today will end up working in job types that don’t yet exist. 35% of core workplace skills will change between 2015 and 2020, with complex problem solving, critical thinking, creativity, and collaboration key. The President’s Council of Advisors on Science and Technology has called for a 33% increase in graduates in Science, Technology, Engineering, and Mathematics (STEM).